If you are not approved for a credit card application online, don’t give up! Instead, call the credit card reconsideration telephone line within 30 days and ask them to review your application. I explained earlier how I called the Chase credit card reconsideration line and got Emily’s Sapphire Preferred application approved. Have a copy of your credit report with you so that you can make reference to the number of open accounts and inquiries on your credit report. Also know your credit score. And know the number of cards you currently have open with the bank and when you opened them. In my opinion, it is better for you to lead the credit card reconsideration call than to let the rep lead the call. Lead the call by letting the rep know that you love your existing relationship with the bank and that you were wondering if there was any way to get approved for a new credit card by reducing the high credit line on your existing credit cards. This lets the rep know that you are aware of why you may have initially been denied a credit card. Lots of folks get denied for credit cards because of late payments or charge-offs on their credit cards. You want to quickly let the rep know that your denial wasn’t because of late payments or credit mismanagement, but because you may have reached the credit limit which the bank will assign you. I have successfully used this method to get approved for credit cards even when the reason for denial was “too many inquiries” on my credit report. Emphasis the reasons why you want a new card. Offer additional reasons as to why you want the card, before you are asked why you want another card. You are more likely to get approved, on your credit card reconsideration call, if the rep knows that you are a loyal and profitable customer for the bank. In general, you get more when you are calm, positive, and well prepared. Yelling at the phone rep during the credit card reconsideration call will only hurt your chances of getting approved, besides indicating that you are a jerk. When was the last time you lent money to someone after being yelled at for initially refusing? 800 582 6471 – new accounts/reconsideration, but agents don’t usually process applications immediately. You are usually more successful when you write to: CitiBank Executive Review Department, P.O. Box 6000, Sioux Falls, SD 57117. 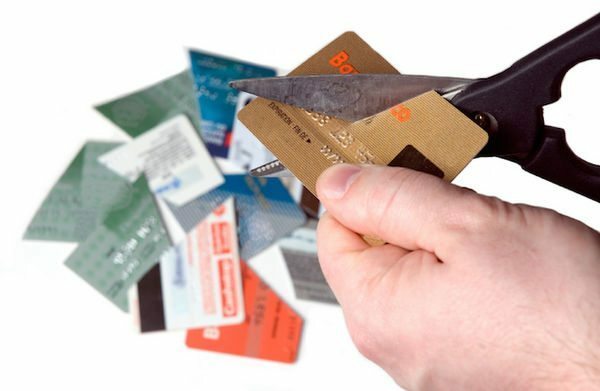 How have you been approved for credit cards after being initially denied? Tell us about it in the comments! 2 questions–Amex reconsideration always tells me they will send the application up for review every time I call. Each time I still get a denial letter in the mail. If I call reconsideration back, same process. Any tips for talking with Amex? Second is a business card question. I tried applying for a business Amex delta using my EIN. The next page of the application is asking for my SSN. When I submit the app, I receive a denial email based off my personal credit. Any tips on this process? Is the reconsideration department for Amex different for business vs personal? Applied for the Lufthansa card, and did not get an instant approval. Call the reconsideration dept and followed your advise, and got approve for a $10,000 credit line. I am retired and was ask for source of income, savings and liquid cash. Never had a late payment and Fico score is 800+. Used your link to apply for the card.